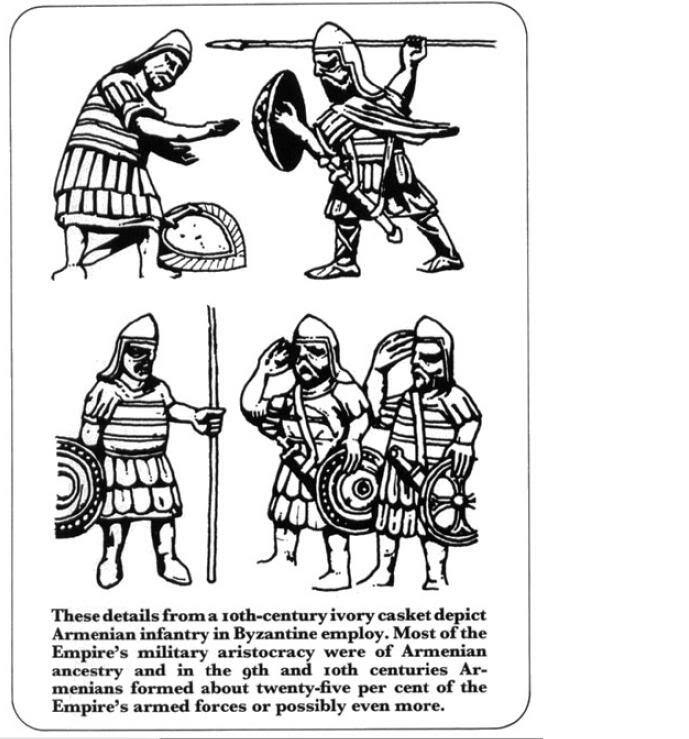 Illustration of Armenian Infantry on an Ivory casket saluting their commander, from the book: “Byzantine Armies 886 – 1118” by Ian Heath (2004). Notice the salute sign that is adopted by modern militaries. Thanks for sharing, I likeinfantry.